VET and Career Development Leaders from NASSSA schools were hosted by the CMV Group (CMI Toyota, Adelaide) .... a morning of knowledge and industry upskilling in regards to the car and truck industry to enable them to share more up to date information with students and family members when considering this career pathway. Representatives from CMV Group team, MTA, RAA and insurance companies were also on hand to talk with NASSSA staff about jobs and industry need in regard to apprenticeships and the advancements across the industry that can lead staff to other roles post apprenticeship completion, for both males and females. 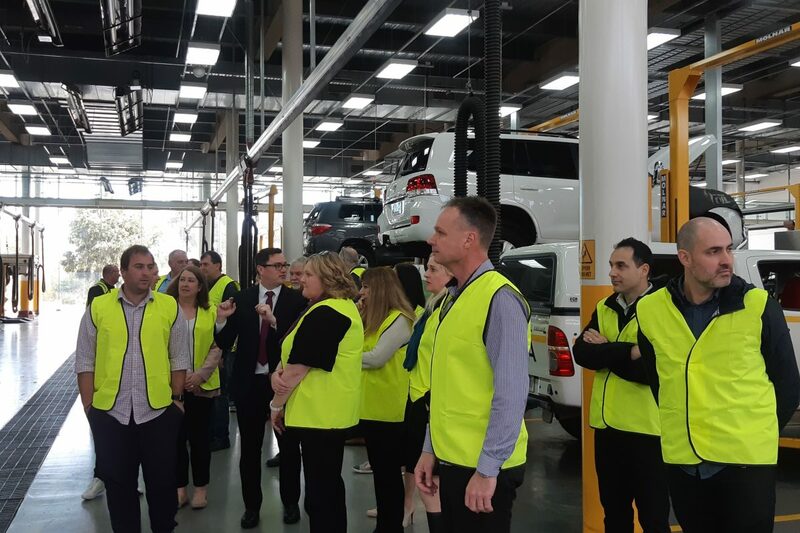 Staff were both amazed and impressed at the progression and changes within the industry including diagnostic processes, servicing & repairs, staff facilities and support plus the huge state of the art, clean, impressive workshop and training operation at CMI.